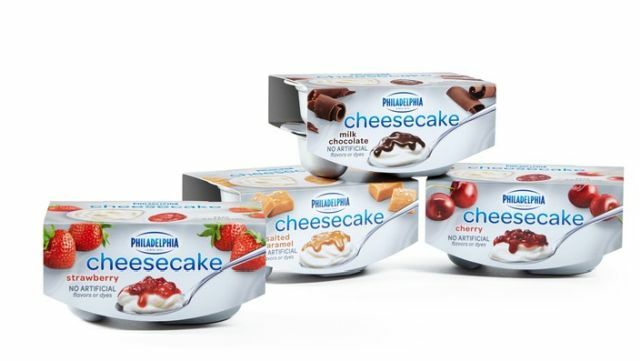 Philadelphia Cream Cheese looks to expand beyond use for baking or spreading on bagels with the launch of new Cheesecake Cups. Philadelphia Cheesecake Cups can be found at retailers nationwide at a suggested retail price of $2.99 for a two-pack of 3.25-oz cups. Philadelphia Bagel Chips & Cream Cheese Dips are available at a suggested price of $1.99 for a 2.5-oz cup.